Got busy making stocking fillers in the studio this week. I used some of my favourite fabrics to make lavender bag hearts which I’ll have on sale at the Bishop’s Stortford Farmer’s and Craft Market on the 7th of November. 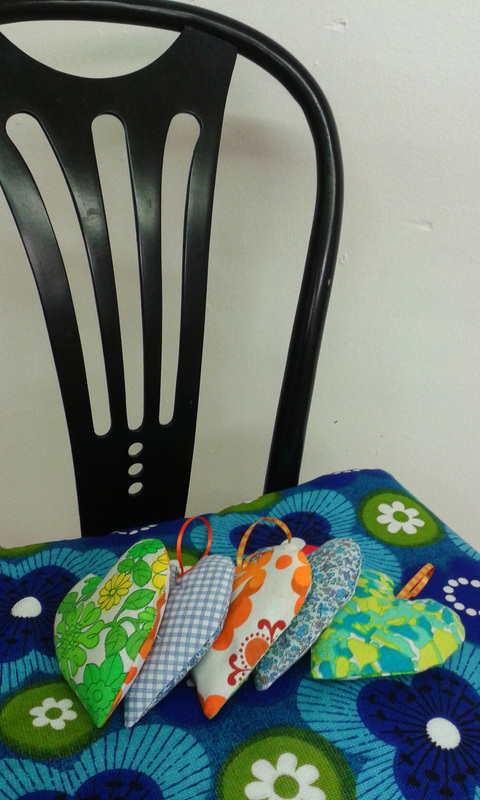 I also made some handy zipped purses too. Another baby book bunting has been born as well! Don’t forget to fill in my survey which is on my Facebook page!